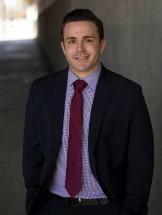 Ryan brings strong trial experience to the firm, with a background in both criminal defense and criminal prosecution. White studying at California Western School of Law in San Diego, Ryan worked as a Certified Law Clerk for the Public Defenders' Office. He also spent several months volunteering at the Marsa Open Center Refugee Camp in Europe. During both of these internships, Ryan helped address the unmet legal needs of disadvantaged individuals. As a result of Ryan's tireless efforts to represent those who could not afford legal services, he was made a member of the Pro Bono Honors Society at California Western School of Law.